How delete the error 08 in canon printer PIXMA MP250, in home, only fallow the next steps. The MP250 Canon PIXMA printer is an all in one printer for domestic and micro enterprises uses it counts with a photographic like quality and cartridges rated to save and last. This printer uses 210 and 211 Canon cartridges which you get to know how to refill them and raise the amount of money saved. The biggest advantage of these printers is that thanks to their highly resistant cartridges with made in Japan cartridges, thanks to these cartridges the printer has been really successful in Latin America with continuous ink systems installations. The installing system is compatible with the Windows Vista, Vista SP1 (1 GHz, 512 MB de RAM processor) / Windows XP SP2, SP3 y Windows 2000 Professional SP4 platforms. You can print the Rear Tray: A4, B5, A5, Letter, Legal, Envelopes (DL size, Commercial 10), 10 x 15 cm, 13 x 18 cm, 20 x 25 cm sizes. 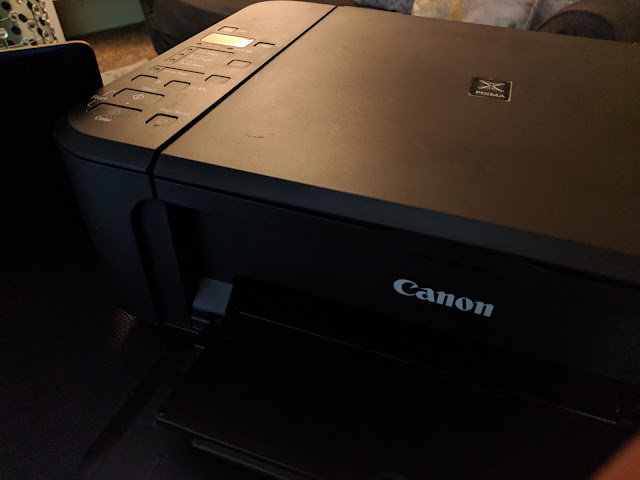 The procedure to reset the MP250 Canon PIXMA printer starts with knowing that the printer must be plugged to the computer and there cannot be another printer plugged at the same time. Download the file that we are not responsible if any damage is caused to your computer or printer, follow the procedure as it is stated. The printer has to be plugged not only to the computer with the USB cable but also to the power supply cable. Turn off the printer, to do so use the "ON/OFF" button in the main part of the front panel. Keep the printer plugged. With the printer off press the "Stop/Reset" and keep on pressing it while also pressing the "ON/OFF" button. Without releasing the "ON/OFF" button release the "Stop/Reset" button. Continue pressing the "ON/OFF" button and now press the "Stop/Reset" button twice. After doing so finally release the "ON/OFF" button. The printer will be recognized again, a message indicating that a printer has been connected but not install will be displayed, it is normal because as it is known when resetting the printer this one loses it settings and it is as connecting a new printer. If the process has been done right in the screen there is going to be a "0". Now open the program and start to run it. We are talking about the program downloaded before. Now what is left is to close the program, turn off the printer and turn it on again. In case the process is not as expected, do it again verifying everything is all right, in case the procedure still does not work contact us by leaving a comment in this post. We know you can also be interested on how to download this printer drivers and in case it is useful for you to get the user manual in pdf, too.